If you do a search for tips on how to care for your dress and casual shoes, every list you find will strongly recommend using a shoe horn when putting your shoes on, and using cedar shoe trees when the shoes are not on your feet. These are suggestions that I cannot recommend strongly enough. A shoe horn is a tool that allows the user to insert their foot into the shoe more easily by keeping the heel counter (back of the shoe) straight and upright and providing a smooth rigid surface that will allow the foot to slide into the shoe easily. The major benefit that a shoe horn provides is that it will not allow the heel to crush the top of the heel counter when the foot is inserted. Some people will find that using a shoe horn allows them to put the shoe on without having to untie the laces. – PLEASE do not do this. This creates too much pressure and can lead to other type of damage. You learned how to tie your shoes when you were 5 years old, abusing a pair of expensive shoes like this is silly – Don’t be lazy. Shoe trees are probably the nicest thing that you can do four your shoes. 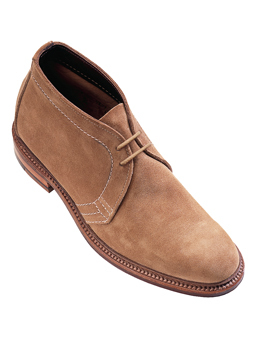 The benefits from using shoe trees in your fine footwear are well worth the minor expense. Shoe trees help to maintain the original shape and contours of your shoes and will lessen the severity of ceases and wrinkles in the vamp (front of shoe) which can lead to cracking of the leather. 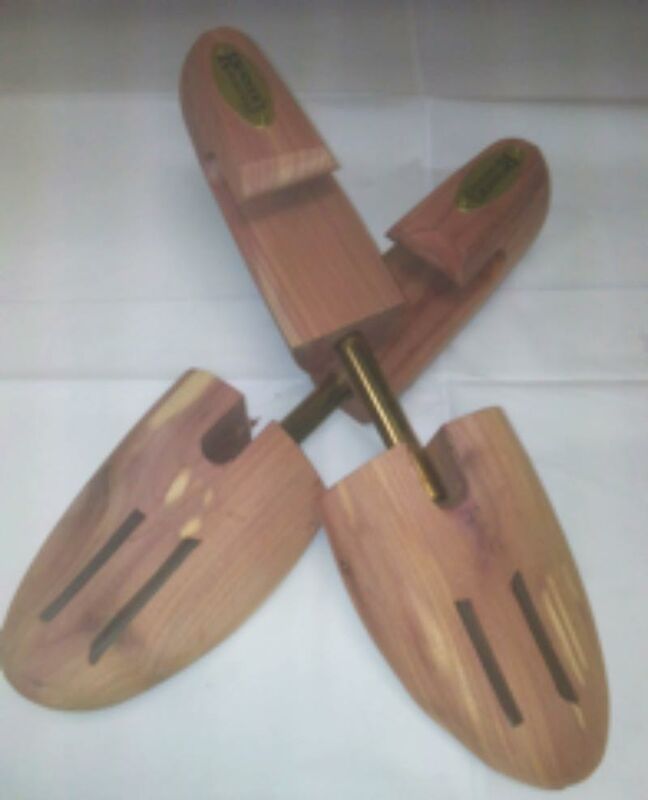 Shoe trees are available for shoes as well as western boots and are made in plastic and wood. While the plastic trees are lighter in weight and less expensive, making them better for use when traveling, the wooden trees have many advantages over the plastic trees. The absorption of this perspiration is one of the primary functions of a cedar shoe tree. A couple of interesting (and slightly disgusting) facts about your feet: Your feet have 250,000 sweat glands per foot which add up to as much as 25% of the total number of sweat glands in your body. The average person’s foot secretes 8oz or (1 cup) of sweat per day. That is 2/3 of a can of soda, folks! Much of this sweat is wicked away by your socks and evaporates, but a good portion is absorbed into he linings of your shoes. The cedar trees are very effective at absorbing the sweat and helping to prevent the deterioration and rotting of the leather. It will typically take 24-48 hours for the perspiration to be drawn out of the leather, so it is best to insert the trees right after taking them off, and try not to wear the same pair two days in a row. Cedar is also naturally aromatic and antimicrobial, which will help prevent odors and fungal growth. Using cedar trees can increase the life span of a pair of shoes by 40% or more. You have already spent a few hundred dollars for those nice shoes, so spending another $25 -$30 for a good pair of trees is a no-brainer and will save you money in the long run.